1. Packed in paper cartons firstly and then secured on wooden pallets. 2. All pallets are well packed with packing belts and well wrapped with stretch film. Thermal Lamination Films have extrusion-coated surface with low temperature melting resin, which enables the lamination of film to paper products by heat and pressure. Various surface finishes available add value to the printed surface. Glossy BOPP thermal lamination film offers a shiny colorful finish. Its use can enhance the look and increase all laminated presswork’s useful lifetime. Matt BOPP thermal lamination film provides a matt-finish on the surface of presswork, protecting from fingerprints and smudges. Compared with gloss thermal lamination film, matt film can be preserved for longer period of time. In order to improve the looking of corrugated boxes, facotries choose to laminate bopp thermal lamination film on the surface of corrugated boxes so that addes values to products. The thickness is depending on product value. The thicker the film is, the more the products add to value. 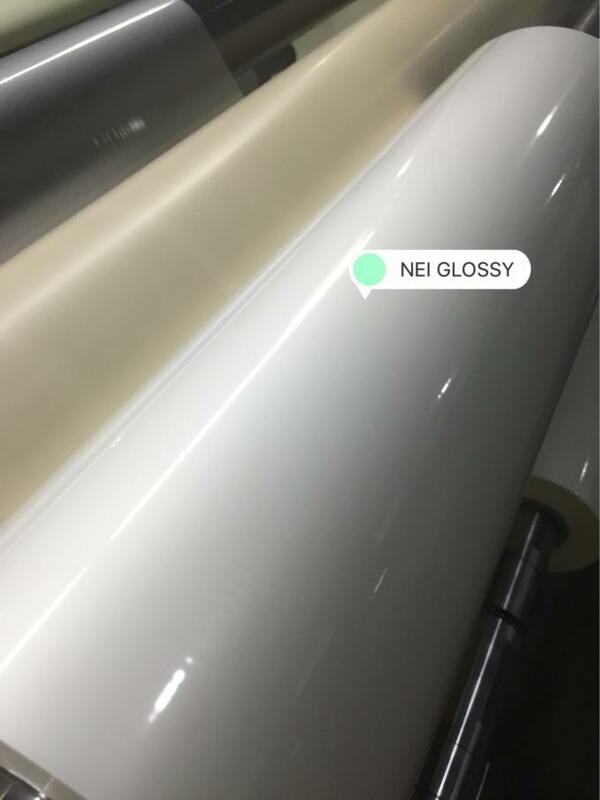 Why chooses NEI BOPP thermal lamination film? 1. Environmentally friendly: It is non-toxic, odorless, or non-benzene because non-solvent based adhesive is used. It is environmentally friendly and non-hazardous to human health since no toxic gases or volatile content is emitted during lamination process. In addition, it is easier to recycle than water-based lamination film because film and paper can be easily separated. 2. Safe operation: Non-solvent based adhesive is used so it will eliminate the fire hazard that is caused by the use and storage of flammable solvents. 3. Excellent performance: Compared with wet lamination, thermal lamination film enhances the color saturation and brightness of presswork. It also has stronger ability of absorbing powder and adhesive force. Furthermore, it is effective to prevent being blistered or separated from presswork in lamination process. As it has strong adhesive ability and surface tension, it can be used for latter processes, including spot UV, hot stamping, die cutting, indentation process. 4. Easy handling: Once the required temperature and pressure is met, lamination can be easily operated. No other special technique is required. 5. High efficiency: Production cost and labor cost are reduced substantially as there is no film wastage, mixture of adhesive solvent, or no UV heating lamp (drying system) is required. Therefore, it saves production space as well. 6. Wide adaptability: It is widely adaptable to different types of lamination machines, including wet and dry laminator. Only small adjustments need to be made to the machine if wet laminator is used. 1. 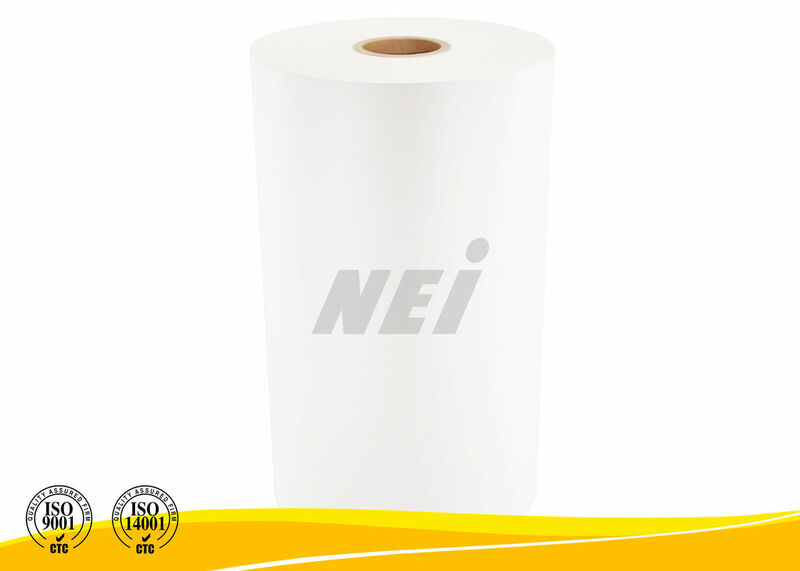 NEI BOPP thermal lamination film is suggested to be laminated with the roller temperature range of 85 to 110°C and roller pressure of 10 to 20 Mpa. However, the optimum conditions are depending on the selected laminator’s speed and dimensional stability.